The ZE-512 has been discontinued. The recommended replacement is the Ohtsu FP7000. Ohtsu FP7000 is an improved version of the ZE-512 manufactured by Falken Tire Co under the Ohtsu name. The FP7000 has been designed to match with your existing ZE-512's so you do not have to replace an entire set at the same time. Just be sure to mount your new FP7000's in the rear of your car for the best handling characteristics and safety. 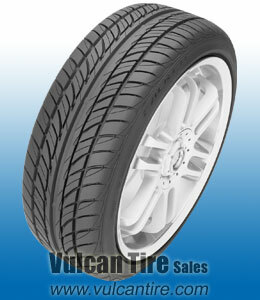 This tire is also available in 60 series sizes, click here for more tire sizes. Great tire for the money but you get what you pay for. Clearly not an "Ultra" high performance tire. Faster wear than expected. Considerable loss of traction in temperatures under 40 deg F. More of a summer tire. Awesome pricing for what has been a great set of tires, so far. I have recommended these tires to others who have bought them and are also very pleased.